The NEW DJI Mavic Pro Alpine is one good looking drone! Through DJI’s OcuSync video transmission system, the Mavic Pro Alpine White can support a range up to 4.3 miles (7 km)1 and is fully compatible with the DJI Goggles. Its ultra-light aerodynamic airframe and state-of-the-art propulsion system give the Mavic Pro Alpine White up to 27 minutes of flight time and can top speeds of up to 40 mph (64.8 kph) in Sport Mode. 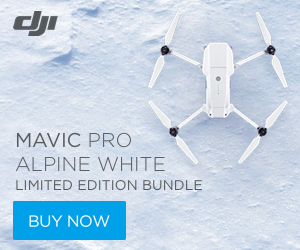 You’ll get three batteries and some awesome extras with the Mavic Pro Alpine Combo deal. This is a good looking version of the original Mavic Pro, not the Platinum. It does not have the noise reducing, efficient more powerful propellers that the Platinum does, but you can easily add them if you’d like. 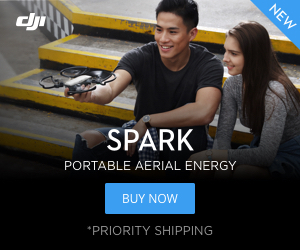 They really make the Mavic even more impressive. Learn more about that here or in our video below. 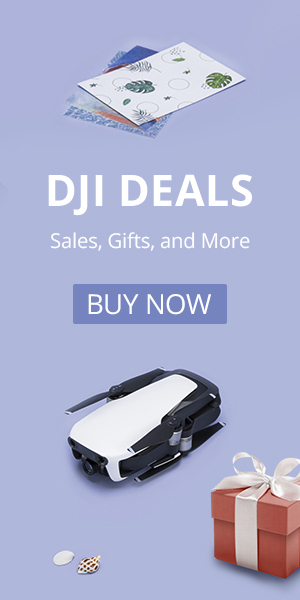 You can start ordering the DJI Mavic Pro Platinum today. If you want to learn more about the awesome Mavic Pro then take a look here. Watch the Mavic transform before your eyes.